Machine learning and deep statistical modelling fall into the range of approaches broadly described by ‘Big-Data’. This is a series of analytical techniques that are influencing a huge range of different areas of everyday life as well as advanced scientific research, and materials science is no exception. The principle is that statistical analysis of large quantities of data can allow underlying trends, signals or features to be determined, tellingly these are signals that would not be detectable from the small number of measurements that a human operator could reasonably interact with. Furthermore, the reduced possibility of operator bias means helps to make the data analysis more repeatable and reliable leading to more automated approaches for studying materials. An example of such an approach is in spectroscopy shown in the image above, a set of electron energy-loss spectra for a silver nanowire were decomposed using machine learning approaches, allowing eight separate optical absorption features to be identified, 1 is the electrons that have not lost energy while 2-6 are optical surface plasmons; a bulk absorption state and an inter-band transition (labelled bulk and trans respectively) are also recovered. Analysis of the different surface plasmon states allowed the coupling of electronic oscillations in the wires to be modelled. For more details please see this article. 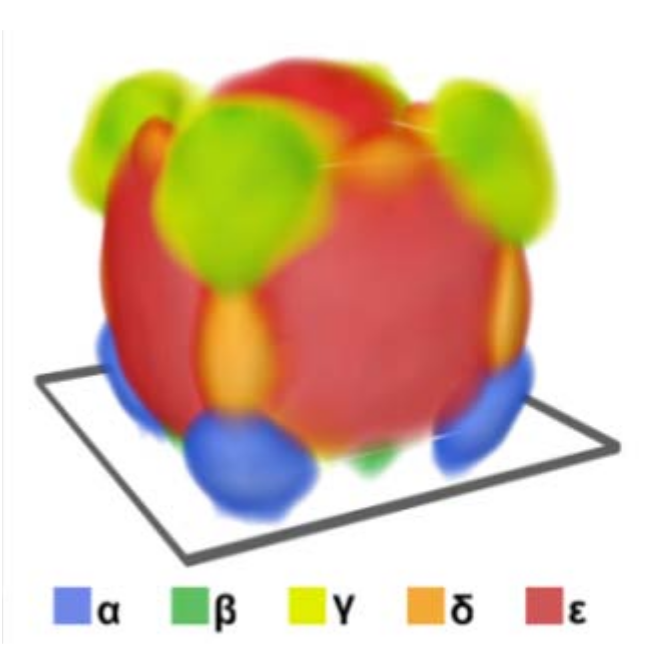 Such techniques are being used for image processing approaches such as noise removal, and to more direct science such as the study of optical properties of materials, as well as the distribution of chemical elements, crystal orientations, different phases and strain within microstructures.